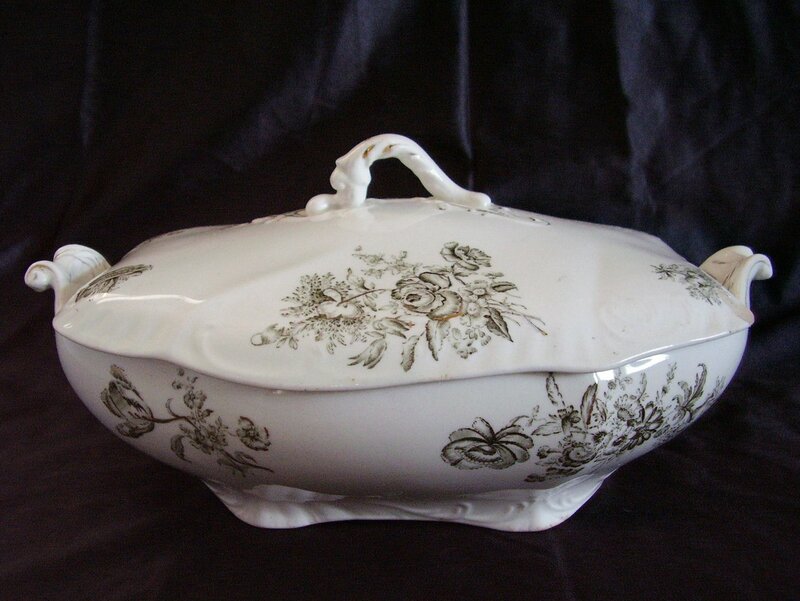 Vintage English Royal semi porcelain transfer ware covered dish or tureen by Johnson Bros. Pattern is called Dresdon, a bright white background, green flowers and leaves trimmed in gold. 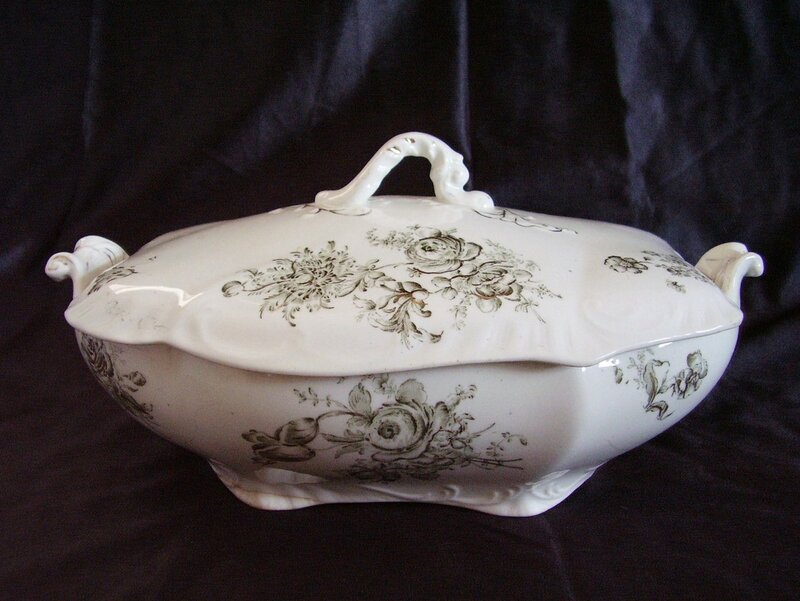 Vintage English Royal semi porcelain transfer ware covered dish or tureen by Johnson Bros. Pattern is called Dresdon, a bright white background with green flowers and leaves trimmed and outlined in gold. Circa 1900 plus. The dish measures 6 1/2 inches x 10 3/4 inches across the handles. 3 1/2 inches tall at the handles. Lid measures 7 inches x 9 1/4 inches. With the lid on it is 5 1/4 inches tall. Holds 48 ounces. There is one flat, thin chip on the corner of the lid, approximately 3/8 x 3/8, see photo please. No other cracks, chips or hairlines noted. 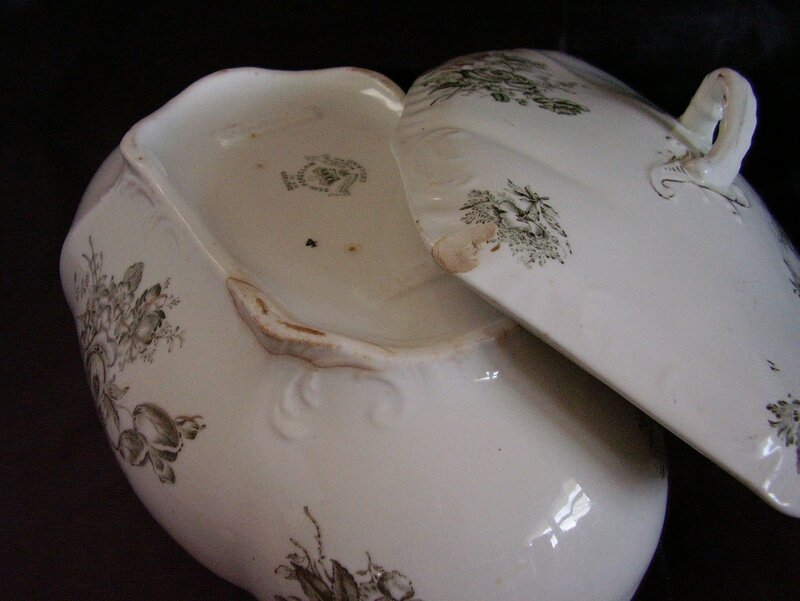 There are some very tiny brown spots of discoloration dotted on the interior of the bowl as well as some on the exterior. Also on the foot there is discoloration but does not appear to be a hairline. Very minimal loss of the gold. 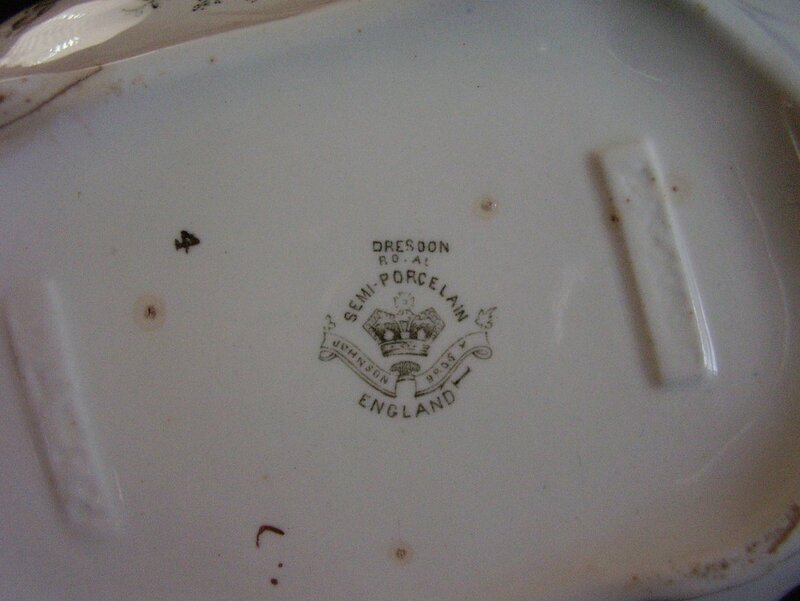 The bottom bears the green ink stamp Dresdon, Royal Semi Porcelain Johnson Bros England, 4.